Use Kingsford Charcoal Lighter Fluid to fire up the grill and fan the flames of appetite at your next BBQ. This lighter fluid is made with a high quality formula, making it the best way to light traditional charcoal briquettes and gets you grilling quickly. The odorless charcoal lighter fluid leaves behind no aftertaste, so you are guaranteed a delicious smoky flavor in your food, which gives your guests an authentic BBQ experience. It is portable and easy to use; just squirt lighter fluid as per container's usage directions, over the piled charcoal and carefully light a match. Once the charcoal briquettes are covered with ash, you are ready for grilling. 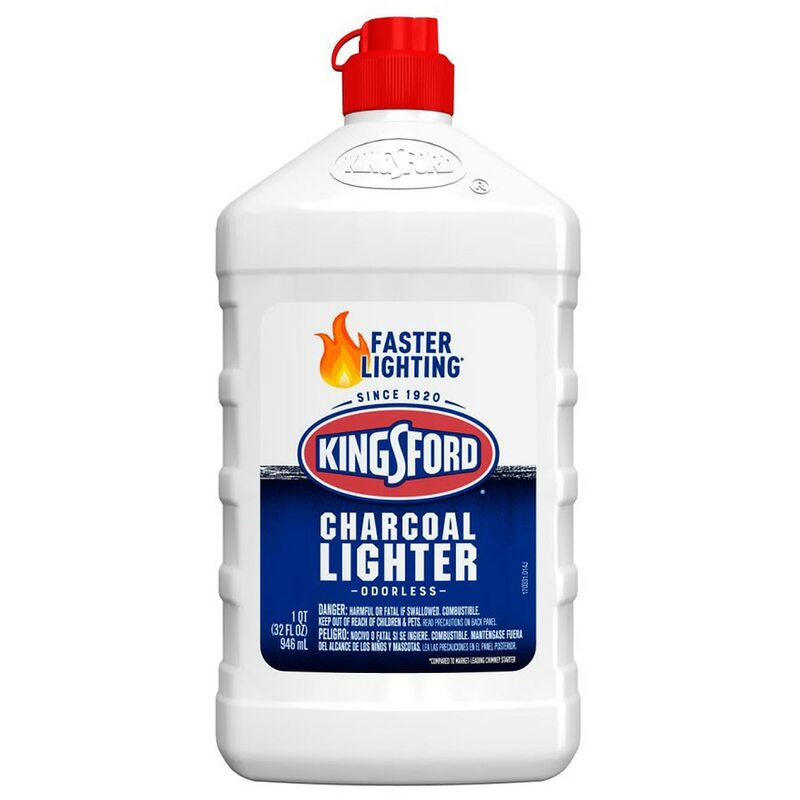 Kingsford Odorless Charcoal Lighter Fluid is great for use when grilling beef, chicken, pork, seafood or veggies. Add this odorless lighter fluid to your barbecue supplies and to ensure your cookouts are delicious. Danger: Harmful or fatal if swallowed. Combustible. Keep out of reach of children. Contains petroleum distillates. Do not ingest. Avoid breathing vapors. Use in a well-ventilated area. First Aid: If swallowed - do not induce vomiting. Call a doctor or poison control center immediately. Inhalation: Move person to fresh air. If irritation or breathing problems develop, call a doctor. Storage: Store away from direct sunlight, heat, sparks, and open flames. This product complies with South Coast Air Quality Management District Rule 1174, Ref. C13.